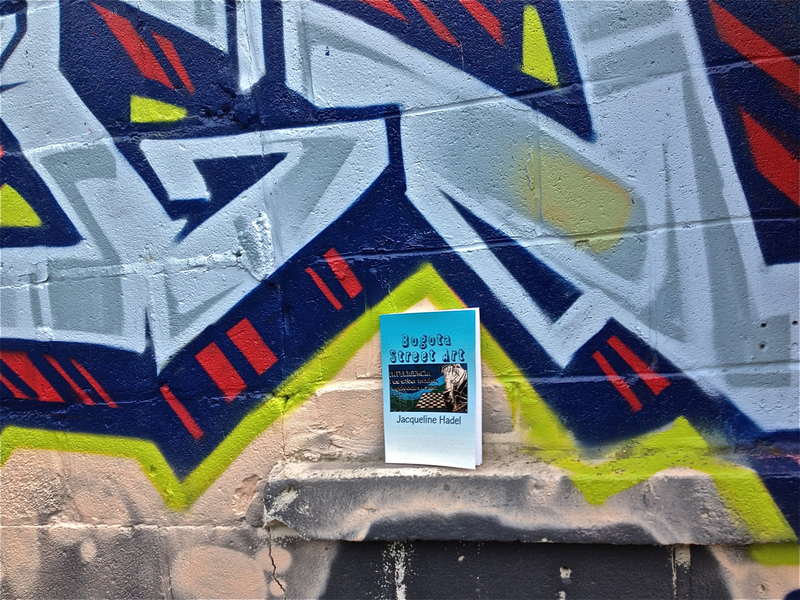 This is the first book I’ve ever bought about “Street Art” and I just love it! 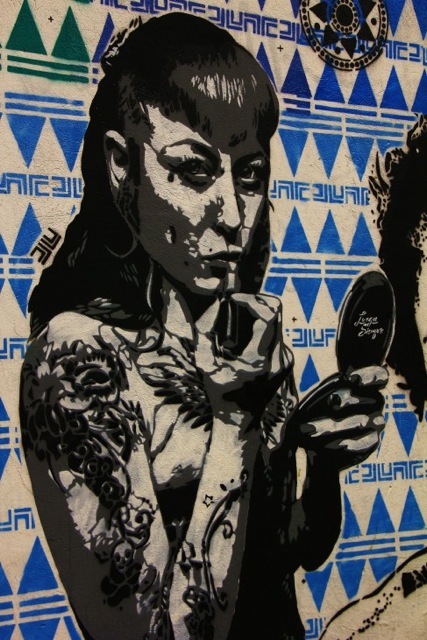 It’s by Jaqueline Hadel and her site TOKIDOKI is a “Street Art” lovers paradise. Of course I’ve been through my book 15 (maybe more) times already. It’s a little documentary gem. 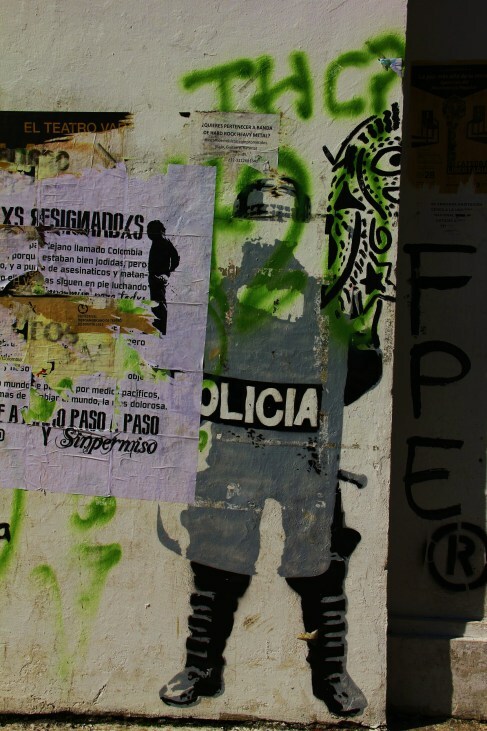 How different the social and political climate is in Bogota from Toronto. 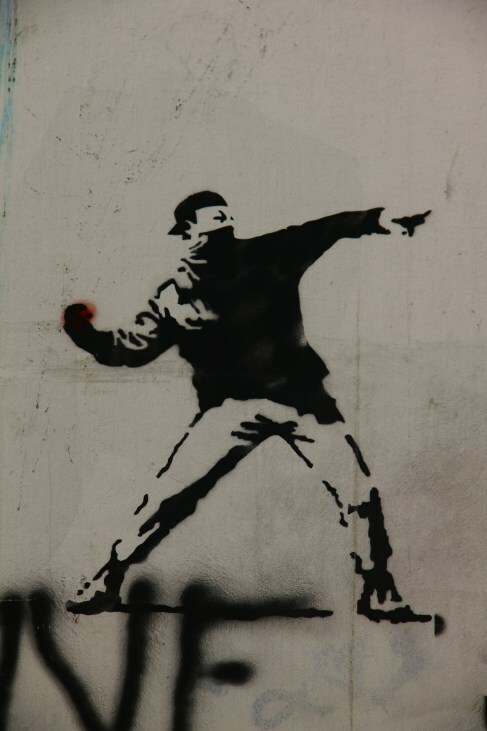 Yes, we do have some gritty graffiti art in Toronto. 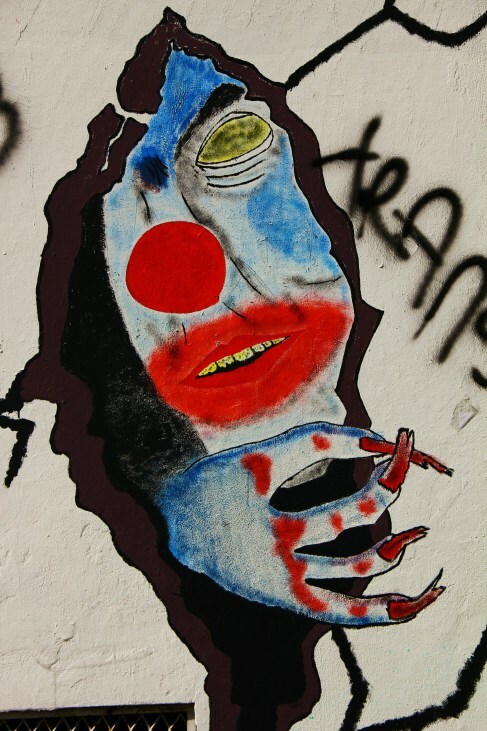 However, by comparison to the Street Art in Bogota, the Street Art here is very tame, candy at times. 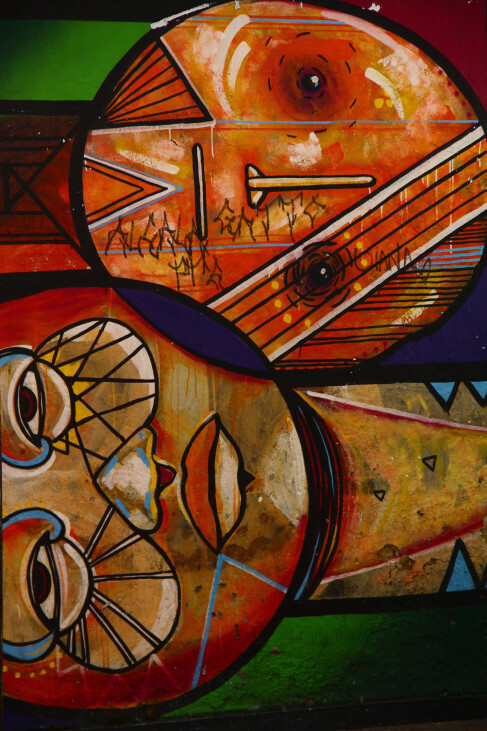 Even the colourful influence of Native Art never pushes the Graffiti Art of Bogota into the bourgeois. 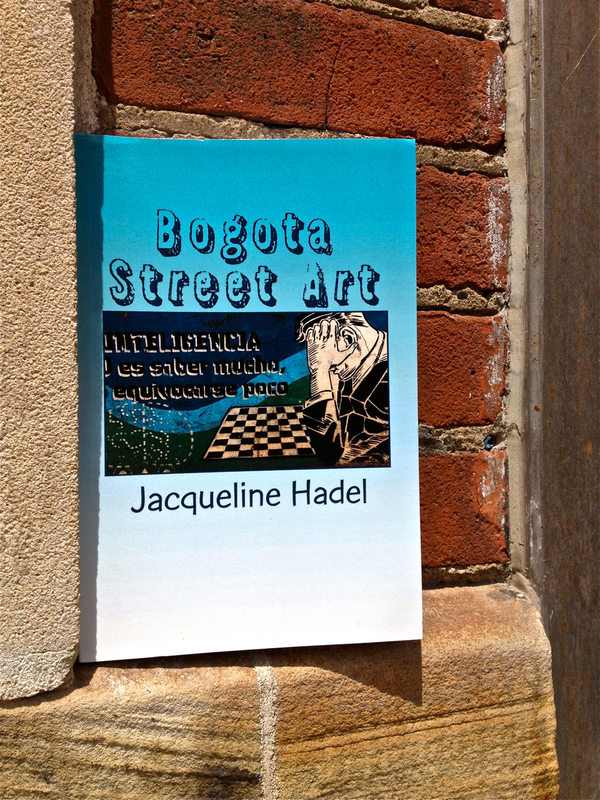 I took some very enjoyable time out to peruse Jacqueline’s prolific collection of Bogota Street Art on TOKIDOKI. I wanted to pick out a few fav pics that weren’t in the book. 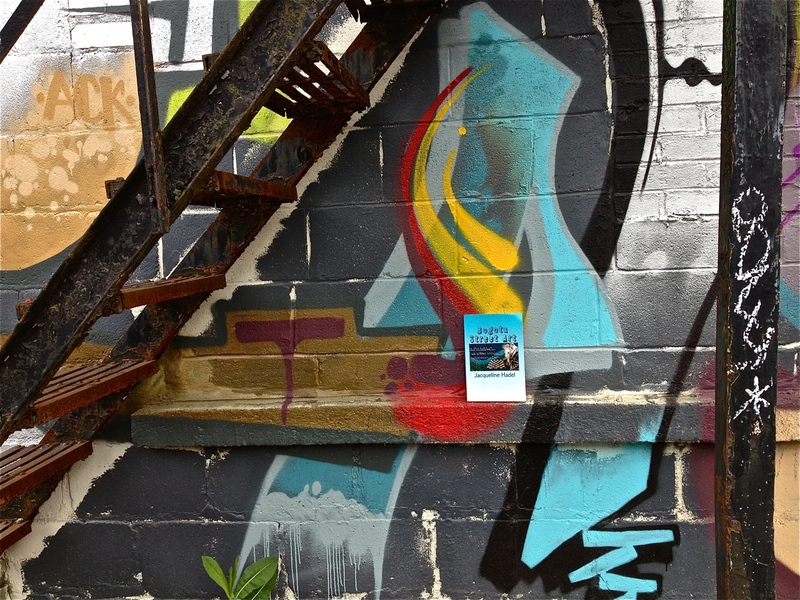 If you want to know what the author has chosen, you’ll have to buy “Bogota Street Art”. All pics in the book are on her site. This is the author’s first book, and serves as a trial run for future publi-cations. Hopefully there will be a second book, and according to Jacqueline, if so, the next book will be all unpublished pics! I know exactly how Jacqueline feels. 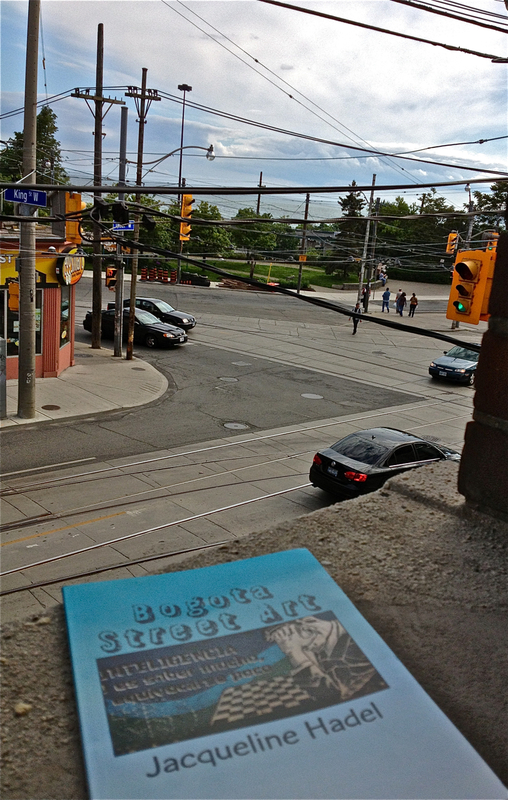 I was so excited when my copy of “Bogota Street Art” arrived that I took it for a walk. Congratulations, Jacqueline! Your book is forty pages of beautifully shot intrigue! I’m so glad you like this, Jacqueline! Your work is outstanding! Yeah! 🙂 Her work is outstanding! I also ordered the book and am now very excitedly awaiting its arrival! !